Italy’s stoner rock icons BLACK RAINBOWS unveil a fuzz-driven new track off their sixth album “Pandaemonium”, due out April 6th on Heavy Psych Sounds Records. 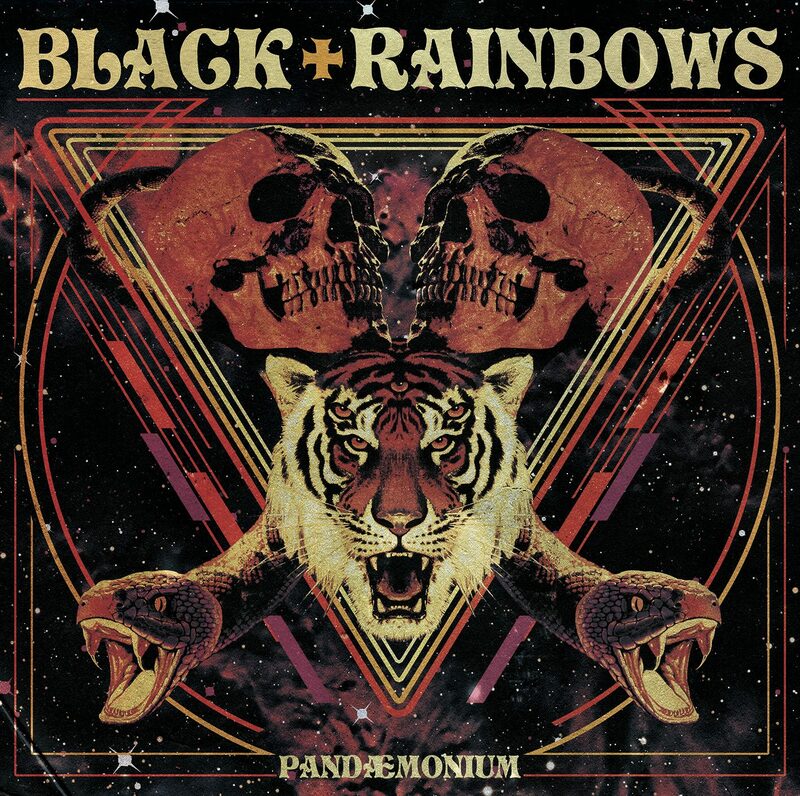 “High To Hell” is the first excerpt off BLACK RAINBOWS’ new album “Pandaemonium”. The intro riff is a sledgehammer of fuzz and crunch striking the listener from the outset, while Gabriele Fiori’s sharp and hard-hitting vocals echo like a loop that won’t let go of your brain. Everything in this song is addictive. The Italian trio shows us how it’s done, with the fuzziest and fiercest stoner rock anthem you’ll hear this year! The 9-track, 45-minute long “Pandaemonium” bears the torch of the new wave of stoner-occult riffing à la Black Sabbath, in a heavier way. Some songs may recall Fu Manchu, sounding heavier than ever, then you’ll get hit by an entrancing doom-sludge-stoner suite (“Grindstone”) and a couple of lysergic, dreamy, heavy psych songs that will blow your mind. The album sounds killer and was recorded at Forward Studios, one of Italy’s finest recording spots. Produced by Gabriele Fiori and engineered by Fabio Sforza, the album has a special focus on drums which were handled for the first time in Black Rainbows by Filippo Ragazzoni. Bass riffing is solid and has a mellow sound, and the wall of fuzz from Fiori’s guitars will drive you nuts! Artwork was once again designed by the visionary SoloMacello. This is the sixth studio album from the band, and by far the best one yet. 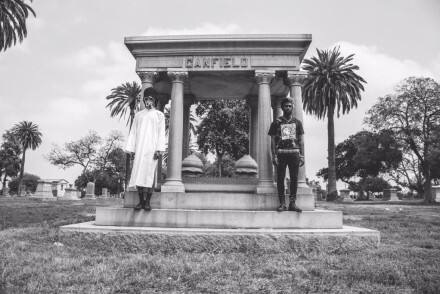 It’s the tightest and most complete album they have ever recorded. “Pandaemonium” will be released on limited Silver vinyl, Orange Fluo Splatter Multicolor vinyl, as well as CD and digital. 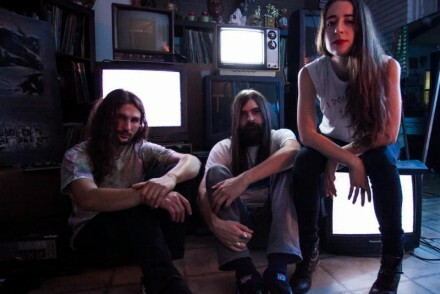 Since the release of their debut album “Twilight in the Desert” in 2007, Roma-based rockers BLACK RAINBOWS have become one of the most essential acts in Europe’s heavy underground. 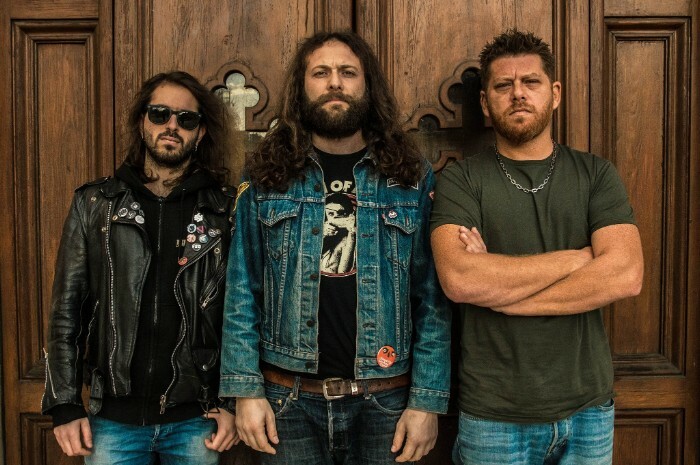 As the spearhead of an entire movement of Italian bands, they have issued five full-lengths to date and are on the verge of releasing their sixth album in 2018, with founding guitarist/vocalist Gabriele Fiori and bassist Giuseppe Guglielmino welcoming new drummer Fillippo Ragazzoni on board for the first time. From “Carmina Diablo” (2010), “Supermotherfuzzalicious” (2011), “Hawkdope” (2015) to their latest outing “Stellar Prophecy “(2016), the trio’s sound cohesively blends classic ‘90s-style stoner rock and deep-in-the-cosmos psychedelia, drawing on the best driven space rock to conjure a tripped-out vibe of their own. 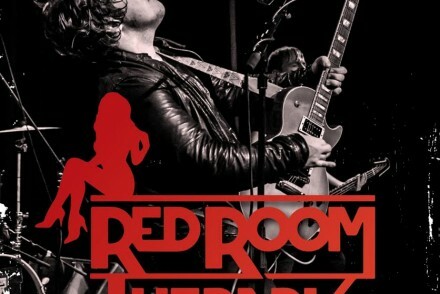 By bringing Ragazzoni on board, the riffs have gotten tighter and fuzzed out as ever, and two years after their last outing, BLACK RAINBOWS will enter 2018 truly refreshed and with a well-earned veteran status resulting from a track record of countless touring, festival appearances topped with their acclaimed on-stage energy.